Our first Christmas, Davey was just 3 days shy of being 3 months, so obviously he was a bit too young to really understand Christmas or appreciate any of his gifts. This year, and possibly next year, are the only years we are able to get away without spending a lot of money. YAY!!!! This past week, we officially opened up his toys, consisting of Fisher Price toys…a Laugh & Learn Basketball & Laugh & Learn Table. He already had the Laugh & Learn puppies, the one that dances and the one that sits, both of which he received before Christmas. 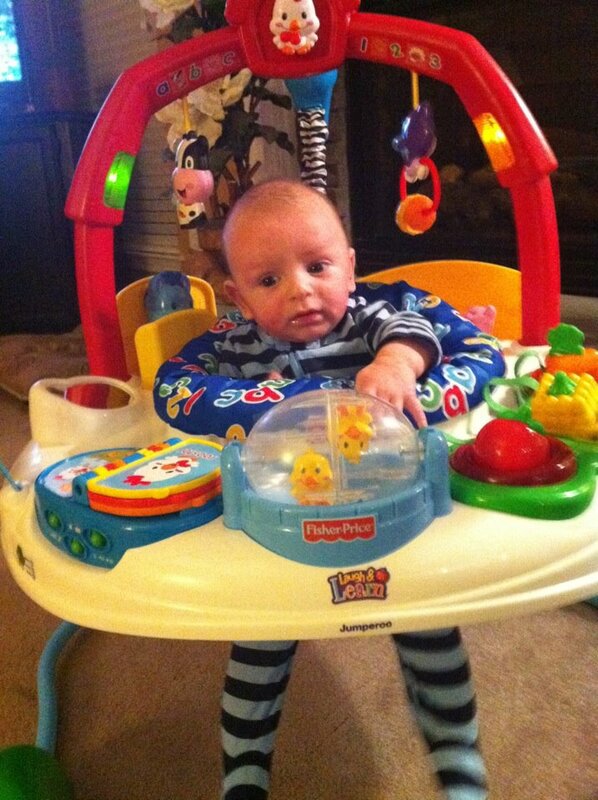 We also spent some of our Christmas money to purchase Davey a Laugh & Learn Jumperoo, which by the way he seems to thoroughly enjoy after only 3 days. What we did learn; however, is that some of the best toys are the ones we already have. They are the ones that we see as every day goods, the ones that don’t seem to hold the same level of fascination for us. They are the items that we wouldn’t necessarily consider fun, but instead a necessity. But our child sees them as way cooler toys than what we spend hundreds of dollars on. 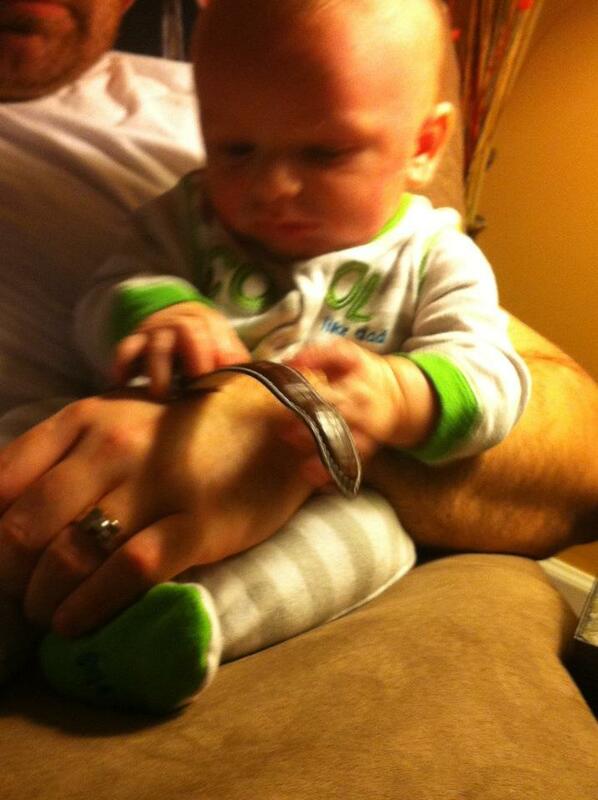 My son loves his jumperoo, but seems to appreciate my husband’s $10 watch even more. As I look around our family room, a room that has become so littered with toys and baby items that it looks like Romper Room has exploded, I shake my head. How could my child have so much within grasp, so much to play with and not appreciate it? I suppose the real question should be…will we continue to buy toys or just recycle household items? We could always re-gift and Davey would be none the wiser.